Baroque violin professor Lucy van Dael started her career as a 19-year-old playing modern violinist in the Netherlands Chamber Orchestra, under conductor Szymon Goldberg, but soon became fascinated by the baroque violin. For years, she worked with Gustav Leonhardt, Frans Brüggen, Ton Koopman (Musica da Camera) and the Kuijken brothers. Together with Frans Brüggen, she founded the Orchestra of the 18th Century (Orkest van de 18e Eeuw) and was its concertmaster for eighteen years. She is internationally famous as a teacher at the conservatoria of The Hague and Amsterdam. She has taught at the Schola Cantorium Basiliensis in Basel, and at the music academies of Stanford University, the University of California at Berkeley, and in Bologna, Oslo, Hamburg, Cracow, and as far as Mexico, Melbourne and Jakarta. 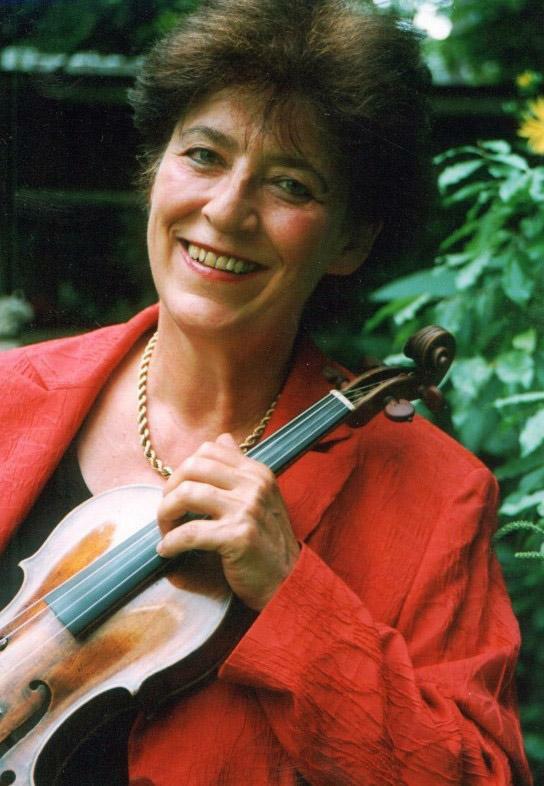 Over the years, Lucy van Dael has taught many students baroque violin technique at the Sweelinck Conservatory in Amsterdam. “I taught them all the basic principles of the baroque literature for violin. I also insisted that my students play both violin and viola. A viola player usually doesn’t feel much like going back to violin, but the violin is important for a lot of things. It teaches you to think quickly and it refines your bowing technique. On the other hand, it’s also very good to play viola in addition to the violin, in order to properly master basic techniques, and also for your knowledge of the literature. Violinists who play viola learn to think better about their timbre and bowing.” “I have always told my students that in this profession it is important to improve by working hard, taking risks and continually raising your standards for yourself. People who come to study with me actually have to start over from the beginning, really from square one. They do’nt always like that. Sometimes they are already full-fledged modern players, and then they have to go back to being a nine-year-old for a while. Some interested people, including members of the Concertgebouw Orchestra, come to me totally upset, because they have discovered how difficult it is. Baroque violin music requires a completely different playing technique. It takes hours of practice, up to five hours a day, seven days a week. We don’t take weekends off. But there are students who are willing to start over as beginners. I really like it when musicians are willing to work that hard on something completely new for them.” Lucy van Dael is the woman who introduced baroque music for violin to the Netherlands. She, and some others who joined her later, was a pioneer in the 1960s. It was a fifteen-year struggle for this style to be accepted by the “mainstream”. Lucy says: “People thought it was ridiculous at first, but ultimately it has become legitimate. I started with baroque violin because I actually always loved playing Bach on modern violin, but I had the feeling that something wasn’t quite right. That inspired me to explore. For example, the way you play the chords on a modern violin is often at the expense of the voice leading, which is an essential part of this music. Then I’d think, this can’t be what Bach meant.” My teacher was completely in despair, but I didn’t agree with what they expected me to do. Then I got an antique bow from Carel van Leeuwen Boonkamp and started to experiment with it. And then I got in touch with Gustav Leonhardt, the great, world-famous Bach-interpreter, and we talked and experimented a lot. That’s how I gradually got into baroque music. I still had to do my graduation solo recital, in modern violin. So I very brashly played early music on the baroque violin. The exam jury had never heard of a baroque violin, they were completely stunned. The only person who loved it was Jan van Vlijmen, who was on the jury, because he was the head of the conservatory in The Hague. He saw that it had a future. He was a visionary - two months later he called me up asking me to be a professor of baroque music there. And that’s wat I did.” Lucy van Dael’s recording of J.S. Bach’s sonatas for solo violin on the Naxos label was nominated for the Cannes Classical Awards in 2002, and in 2003 it was named CD of the Year in Japan. Her recent recordings include violin music by Marco Uccellini on the Aeolus label and Arcangelo Corelli’s famous opus 5 sonatas on Naxos.